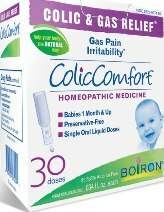 ColicComfort temporarily relieves symptoms associated with baby colic, including gas pain and irritability. 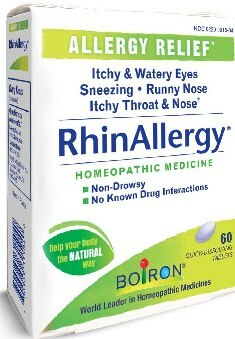 * ColicComfort has no known interactions with other medications, it is not contraindicated with pre-existing conditions, and there is no risk of overdose. The sterile, single-use liquid doses are preservative-free and help to prevent contamination. They do not contain flavors, dyes, lactose, sugar or artificial sweeteners. Recommended for babies one month and up. Directions: Children 1 month of age and older: Tear off the foil pouch at the notched edge. Snap off one single-use dose. Twist to open. Squeeze entire contents into mouth. Repeat, as needed, every 15 minutes for 2 more doses. For best results, administer before meals. Ingredients: Carbo vegetabilis 5C HPUS, Colocynthis 9C HPUS, Cuprum metallicum 5C HPUS.